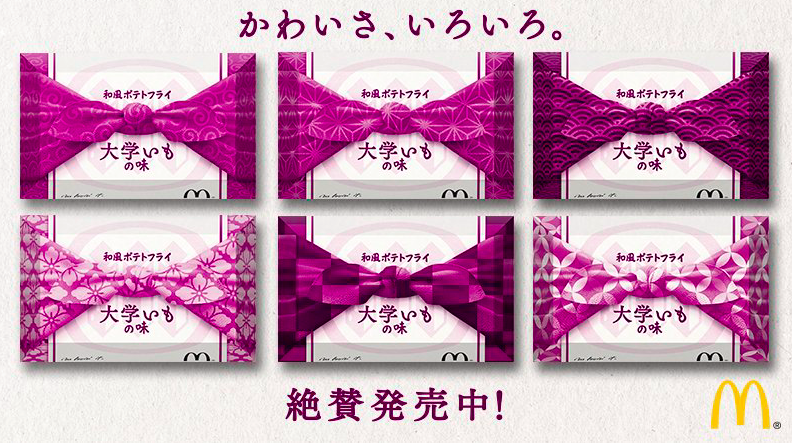 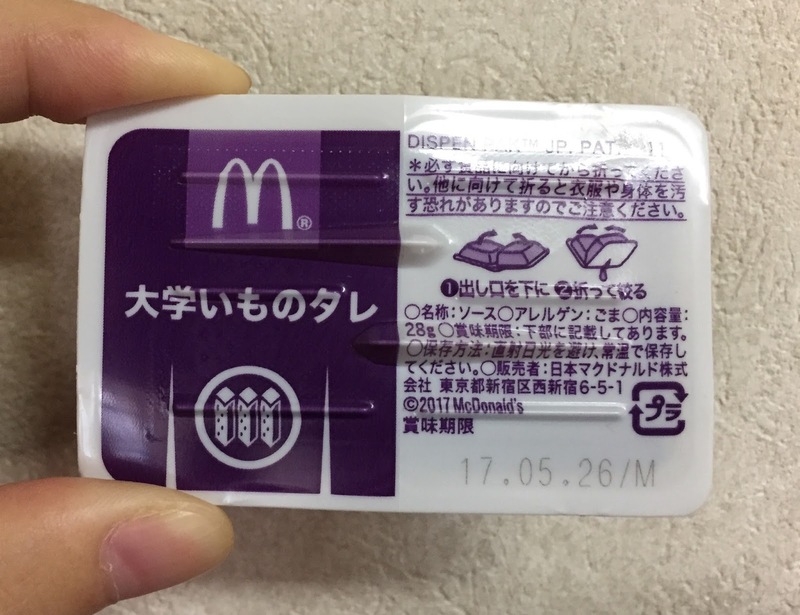 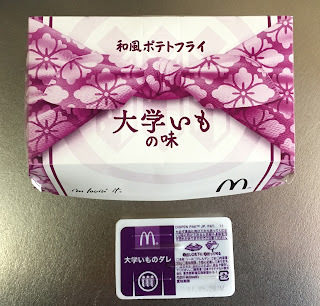 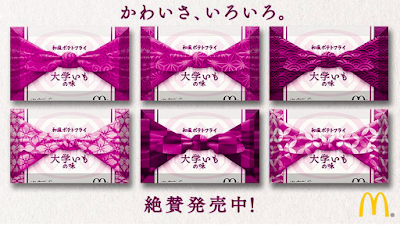 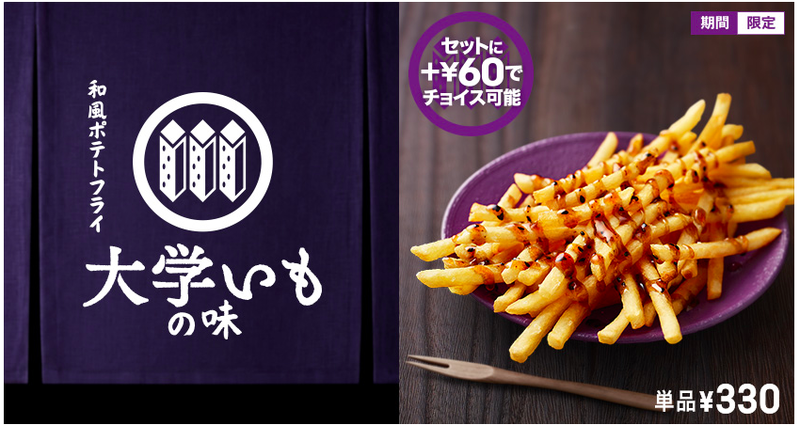 McDonald's Japan launched "Japanese Style Fries Daigaku-Imo Flavor" on February 15, 2017 for a limited time. They've produced chocolate sauce for french fries, but this time, they launched a sweet syrup to recreated everyone-knows Daigaku-Imo (大学いも) flavor. 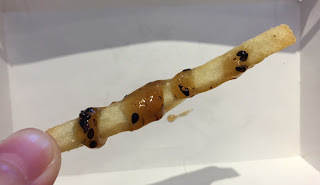 Daigaku-Imo is a fried sweet potato coated in sweet syrup made with sugar (or honey), black sesame seeds and sometimes soy sauce. 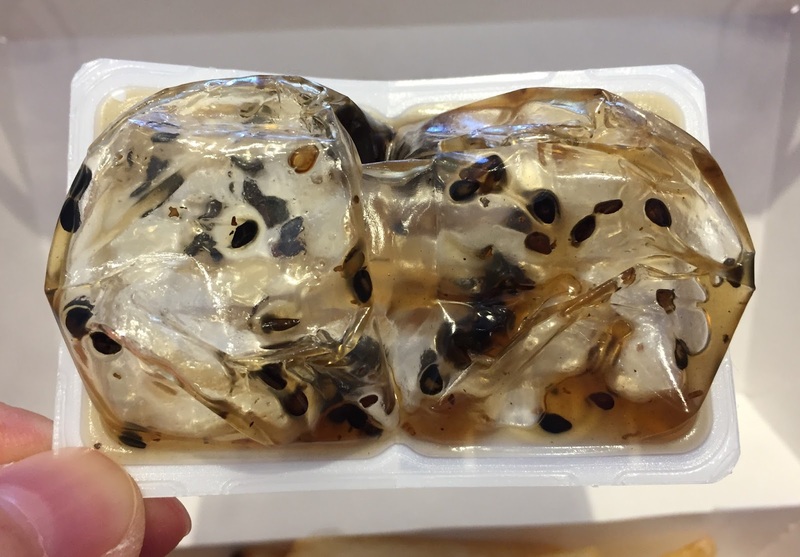 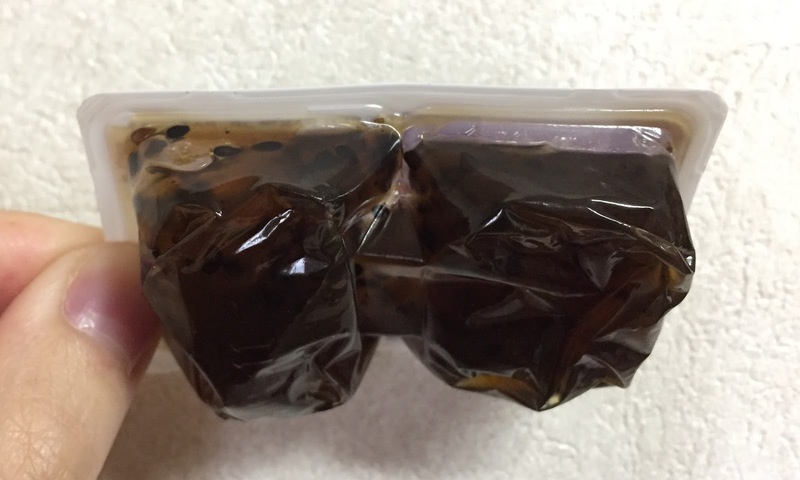 This syrup contains honey to bring the rich flavor, and they added sesame paste besides black sesame seeds. 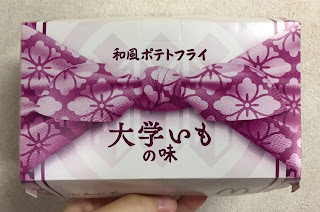 There're 6 Furoshiki (風呂敷, wrapping cloth) patterns for the box, and it's really neat. 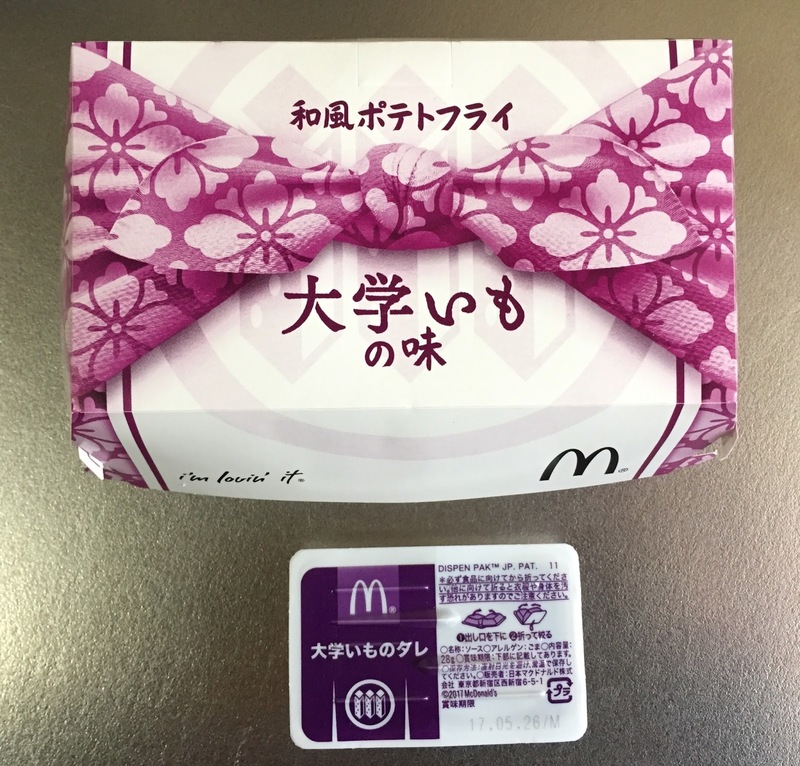 As always, I asked my mom to get one and keep the box and syrup till I get back to my parents' house. I put Happy Meal's fries (small) into the box. I bent the syrup case and squeezed the syrup out. No matter how I pressed the case, it's impossible to get out all the black sesame seeds because the holes are tiny. 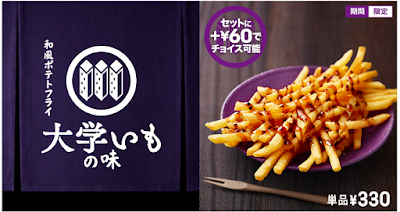 When I saw the fries with sweet syrup, it didn't give me any weird thought since Daigaku-Imo flavor was easy to imagine and expect and the only difference is the potatoes, in place of sweet potatoes. 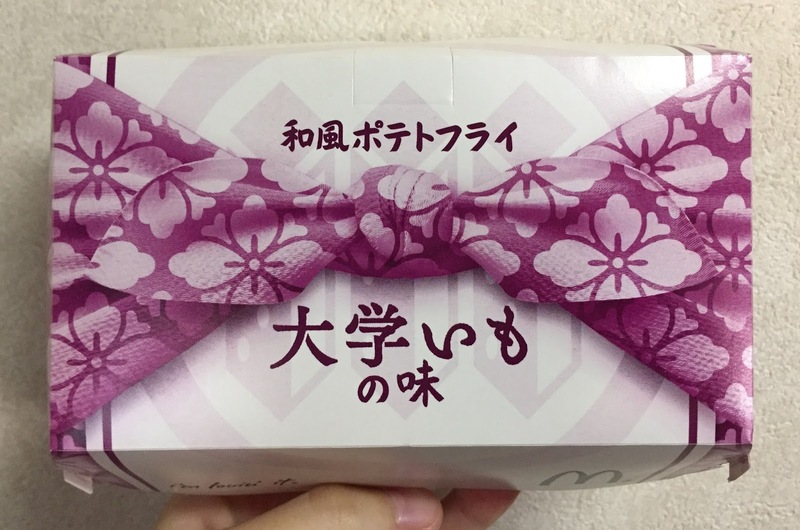 It smelled like Daigaku-Imo, and it tasted like that, too. 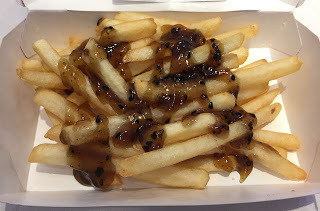 It's overly sweet and to have a nice balance of saltiness and sweetness required 1 fries covered in the syrup with 1-2 fries that didn't have any syrup on.